It all kicks off on Saturday, July 29 at noon with sampling of over a dozen renditions of macaroni and cheese from restaurants throughout the region. Guests are encouraged to tease their taste buds with samples like spicy beer cheese mac in a pretzel bowl, buffalo chicken mac & cheese or the three cheese mac & cheese egg roll. In addition, select restaurants will pair a signature Svedka cocktail as part of the sample. Advance ticket purchase for the 3rd Annual Mac & Cheese Festival is highly recommended and can be done by visiting www.coppercolorado.com. Tickets are $1 with restaurant samples ranging from three to five tickets each. Free live music, kids’ activities and eating contests will take place throughout the weekend. 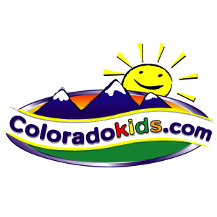 Visit CopperColorado.com for additional event information, latest lodging deals and more. Stay connected all season long by following @CopperMtn on Facebook, Twitter, Instagram, and Snapchat.